Oh Five Glory will run at the Gold Coast on the way to the Magic Millions despite a wide barrier. Peter Hulbert is one of several trainers caught between a rock and a hard place trying to ensure their Magic Millions Classic contenders make the field. Oh Five Glory, trained by Hulbert and his son Will, runs in Saturday’s QTIS Two-Year-Old Handicap (1100m) at the Gold Coast. The filly drew barrier 13 but will probably jump from nine as only 10 horses can start and there are six emergencies. Hulbert said he was usually reluctant to run horses from wide barriers at the Gold Coast 1100m start but he needed to ensure Oh Five Glory had enough prize money to make the $2 million Classic (1200m) at week later. “Normally I would scratch her and trial her next Tuesday. She has worked well this week and beat our good horse Glitra in a gallop on Tuesday morning,” Hulbert said. “But we are like a lot of trainers who have been surprised by the high qualifying mark for this year’s Millions. “We have to be careful we don’t give a couple a chance to jump over us. It will be an emotional time for Oh Five Glory’s jockey Taylor Marshall whose father John died from cancer last week aged 60. A Sydney premiership-winning jockey in 1987/88, John Marshall had a long association with Bart Cummings and rode the 11th of the trainer’s 12 Melbourne Cup winners, Rogan Josh, in 1999 and retired a year later. Trainer Liam Birchley is also concerned about the wide barrier in the two-year-old race for Neptune’s Spear but not from a Magic Millions point of view. 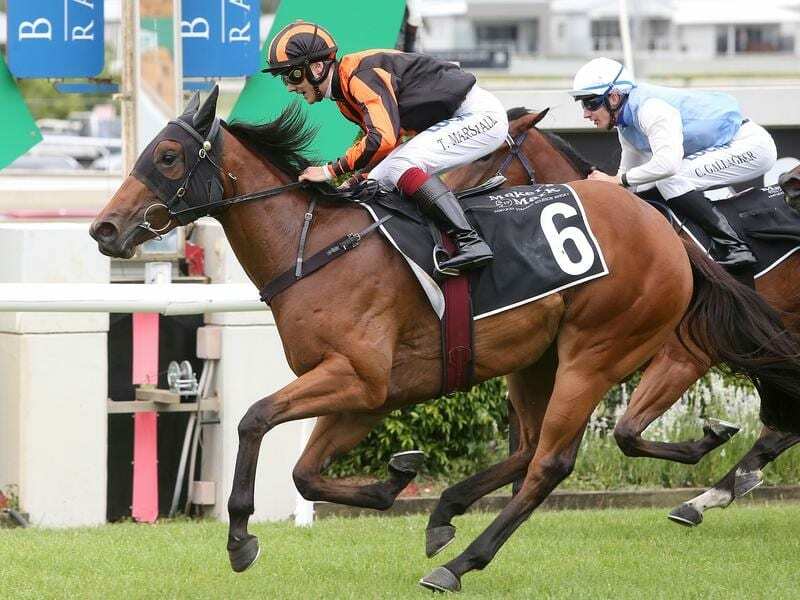 The colt’s mission is the Karaka Million at Ellerslie in New Zealand on January 26. Birchley has a strict policy of never starting his horses from wide barriers in sprint races. He has even taken horses to country meetings in NSW to get them ready for trips to New Zealand but this time he has been stymied. “I have no choice but to run him on Saturday. I can’t start him Magic Millions day and there isn’t even a race in Sydney,” he said. “He needs to have a run before he leaves for New Zealand the week after next. Birchley will be chasing his third win in the Karaka Million after Sister Havana (2010) and Hardline (2015).